Samsung has launched a new full sized tablet with an expansive screen in a thin and light form factor. 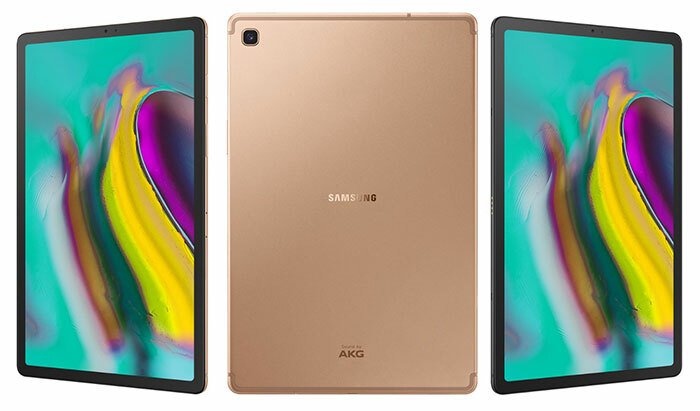 The new Samsung Galaxy Tab S5e is described as a "slimmer, lighter and thoughtfully designed tablet," and indeed this 10.5-inch tablet is 5.5mm thick, offers minimal bezels, weighs just 400g, and has some appealing smart features. The 16:10 screen used in this tablet is a WQXGA Super AMOLED from Samsung. It fits in the chassis with an edge-to-edge minimal bezel design with no visible Home key. Samsung says that the screen-to-body ratio of 81.8 per cent helps create an enhanced, immersive viewing experience. Still on the outside of the tablet, it has a sleek 5.5mm metal body and will be sold in a range of "modern monochromatic colours" including Silver, Black, and Gold. Above you can see details covering the essential Processor, RAM/Storage information. The 7,040mAh is worth highlighting for delivering "extended battery life lasting up to 14.5 hours". Something else you can't see in the specs is how the quad-speaker array works - Samsung incorporates auto rotate stereo technology which changes the speaker config when you rotate the device. 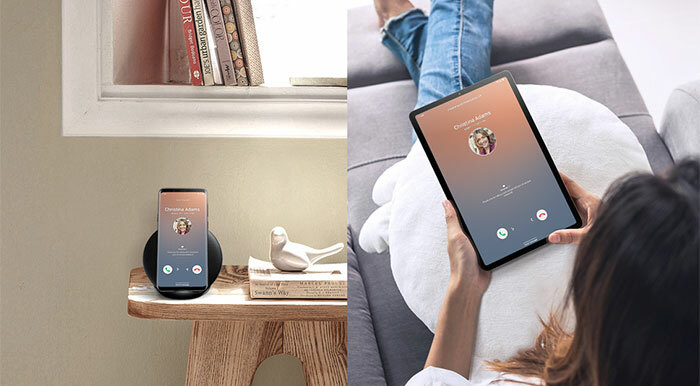 Moving along to software and smart features, Samsung says the Galaxy Tab S5e is its first tablet to incorporate new Bixby for interacting with this device, and working as a command hub for your smart home. Samsung Dex works with this tablet too, aiding any attempt at productivity on the go. Samsung hasn't provided pricing, but DJ Koh, President and CEO of IT & Mobile Communications Division, Samsung Electronics said that the Galaxy Tab S5e would be available at "a new price point" - I hope that's an executive way of saying 'surprisingly low'. The Samsung Tab S5e will be available to pre-order from March 2019, and available in the UK from 2Q 2019. WQXGA is 2560 x 1600 (according to the interwebs) if anyone is interested (surprised it didn't say in the specs what the actual res is or do they just expect everyone to know what they stand for these days). Interesting that they not gone for a 4 big, 4 little cores approach and gone 2 + 6 instead. Can't remember seeing that before. I don't think they did particularity well, sales wise, with the Tab 4 and its £600 launch price, so quite surprised to see they're launching another one. Can't help thinking that ‘surprisingly low’ will be the polar opposite of the actual rrp, when it is announced.